While a bit short on sense, Sharp Edge is the scary type who will charge right in without thinking too deeply once he receives an order. He believes that continuing to fight is proof that you're alive. He has a capacity for incredible speed, and the powerful cutter hidden in his flukes, known as the Daimondtail, is his highly deadly ultimate weapon. Prelude: Sharp Edge is an extensive remold of Beast Wars Cybershark. Due to quite a few differences and the fact that it’s been nearly five years since I reviewed Cybershark, Sharp Edge will get a full review regardless. Robot Mode: Sharp Edge is a shellformer, meaning his actual robot body has pretty much no part in forming the alternate mode, it just curls up inside a shell, which opens up into two wing-like parts on his back. Now this isn’t a bad thing, as Sharp Edge is a pretty spiffy-looking robot, very posable, and nicely detailed. And the big wings on his back don’t hinder him in any way, so they’re not a problem, either. Personally I like Sharp Edge’s paint job in robot mode a bit better than that of Cybershark, but that’s a subjective thing. He’s got a new head with a fin on top and a somewhat more human face, no trace of Cybershark’s big toothy grin. The front and back of the beast mode still become his weapons, the tail fin (slightly bigger here) becomes a big, cutter-like weapon, while he can hold his beast head with the long saw in his hand or launch it from the missile launcher in his chest. Alternatively he has two more missiles stored on his back, both of them with little shark faces sculpted into their tips. Very nice. Cybershark is among my favourite Beast Wars Deluxe figures and there is really no reason why Sharp Edge should be any worse. Whether or not he looks better in robot mode is subjective, of course, but there is absolutely nothing wrong with him objectively. Thumbs up. Alternate Mode: Sharp Edge still transforms into a shark, of course, but due to the alternate beast head it’s no longer a hammerhead shark like Cybershark, but rather a saw shark (Pristiophoridae). Being a shell former, most of the beast mode is being formed from the wing-like pieces he carried on his back in robot mode. Apart from the new head, the changed tail fin and a different paint job separate him from Cybershark. Not much else has changed, of course. Sharp Edge is pretty much a brick in this mode; the only moving parts here are the two fins on his sides, which are ball-jointed. He can still launch his head like a missile, but that’s the extent of the gimmicks in this mode. All in all this is a great-looking beast mode, which I’ll call neither better nor worse than that of Cybershark. Remarks: After Cybershark in Beast Wars (the toyline, at least, not the TV series) and Hellscream in Beast Wars II (both toyline and cartoon), this here is the third showing of this mold, this time for the Japanese Beast Wars Neo line. Now I haven’t seen much of Beast Wars Neo, so I can’t tell you anything about whatever role he might have played there, sorry. The only real drawback Cybershark had was his lack of media-presence, otherwise he was an excellent toy. That hasn’t changed for this remold, the only difference being that Sharp Edge did actually appear in a cartoon, though one most Western viewers will never have seen. Still, all TF fans who aren’t completely opposed to the Beast Wars style should own at least one version of this excellent figure. 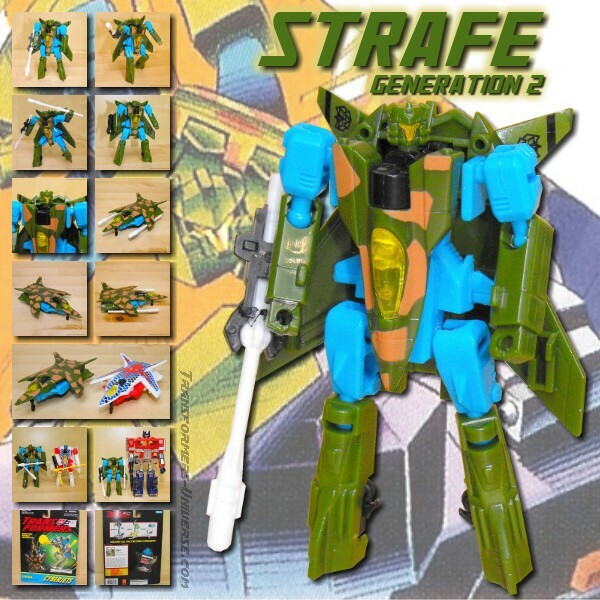 Sharp Edge was available both individually, as well as in a two-pack with Hardhead.